3M receives FDA 510(k) clearance for Attest™ Super Rapid Readout BI system with 24-minute results. ST. PAUL, Minn.--(BUSINESS WIRE)--Sterilization departments are on the front line of defense in the fight against surgical site infections. To help facilities increase patient safety and provide a higher standard of care, 3M is excited to announce FDA 510(k) clearance for its 3M™ Attest™ Super Rapid Biological Indicator (BI) System for Steam, which now provides BI test results in just 24 minutes. 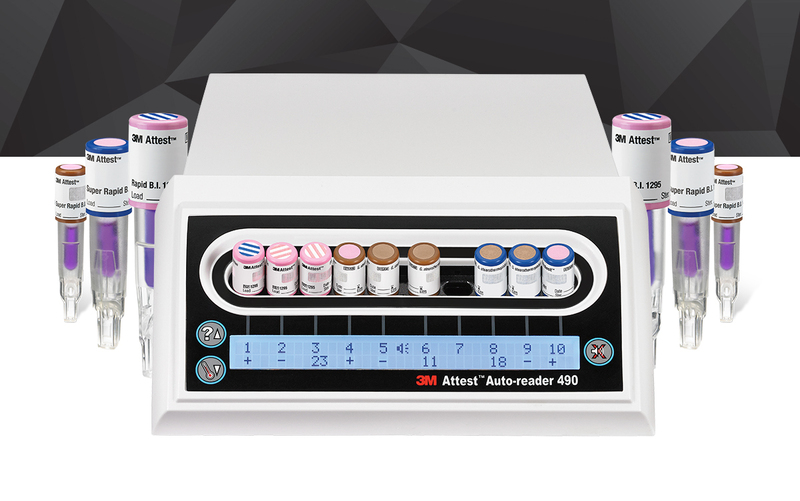 The new 24-minute system is attainable through a software upgrade to existing 3M™ Attest™ Auto-reader 490 and 490H units. The software upgrade enables all customers who have existing hardware to receive the benefit of a 24-minute readout at no extra charge. In addition, the upgrade provides an added benefit of Any-Well technology. 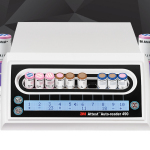 Each upgraded BI Auto-reader will have the ability to read both steam and vaporized hydrogen peroxide (VH2O2) BIs simultaneously in any incubation well. These innovations enable facilities to simplify, standardize and streamline their sterilization department’s workflow to help ensure every instrument is safe for patient use and keep surgeries on schedule. The new 24-minute results for steam BIs, coupled with the dual-reader technology, builds upon the Attest brand advantage by helping to reduce risk and enhance efficiency by working to standardize and simplify sterilization processes. Customers will also be able to use the same 3M BIs and test packs already available in the market today, allowing for an easy and smooth transition. All Attest™ Auto-readers will also continue to provide connectivity with the 3M™ Attest™ Web App and primary instrument tracking systems for digital record keeping. To learn more about the system update, contact a 3M representative. For more information on the 3M™ Attest system with Any-Well technology, reach out to your 3M representative or go to go.3M.com/AttestUpgrade. 3M and Attest are trademarks of 3M Company. At 3M, we apply science in collaborative ways to improve lives daily. With $32 billion in sales, our 91,000 employees connect with customers all around the world. Learn more about 3M’s creative solutions to the world’s problems at http://www.3m.com/ or on Twitter @3M or @3MNewsroom.